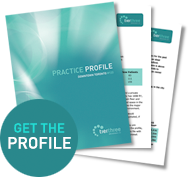 This is your opportunity to own an established ortho practice with room to grow. If you are looking for a balanced life-style in a great area of the province, you can continue to operate the practice as is. The practice currently only runs three and a half days per week. In the last year there were 124 new starts with over 29 referring dentists. In addition to a flexible transition plan over the next several years, the practice is extremely well-organized which will also facilitate an easier handover. The current owner/operator has a well-organized management style and already has a proven marketing plan in place to ensure continued new patient flow. The vendor would prefer to sell the building with the practice. Practice showings will happen, by appointment, at mutually convenient dates/times.